I love to eat, drink and travel. But, let’s face it – if I’m going to be fit enough to continue eating, drinking and traveling – I need exercise. I’m an “all in” kind of gal with an adventurous spirit, so how better to seek fitness than with a mud run obstacle course at….wait for it….a winery! Especially when there’s free food AND wine after? Color me sold. I mean really, what’s not to love about this concept? And thus begins my Blueberry Stomp Mud Run adventure. Bright and not-so-early, I begin my 9 am heat down the 3 mile obstacle course at the Keel & Curley Winery. 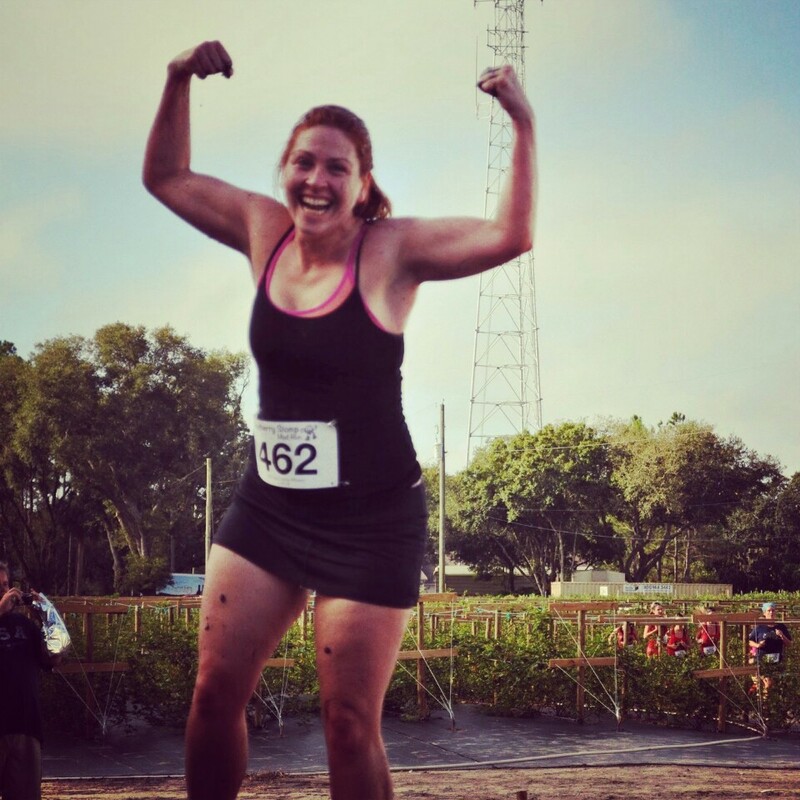 This was my very first mud run and I really had no idea what to expect. Please understand, I only run to eat. Every step I take, I know it’s an extra bite of something scrumptious or another sip of wine without adding pounds. I’m not terribly fast, but I am quite determined. Once I start, I keep my pace and don’t quit until I achieve my mileage goal. But I digress. Launching through mud pits, ditches, wobbly bridges and piles of cedar chips the race began. It all felt fairly tame until I met the blueberry pit shortly before the midway point. I actually came to a full stop. I stared. My husband, trailing behind me passed me up. As he cannonballs into the icy blueberry filled water I decide to throw all caution to the wind and go for it! The result? Queen of the Blueberry Pit! Afterwards, I was fearless. I climbed mounds of dirt, to jump into 3 foot deep mud pits. I passed my husband. (I’ll be damned if I let him beat me across the finish line. I’m competitive!) In the end, I finished in 30 minutes and 19 seconds. Not too shabby if I do say so myself. 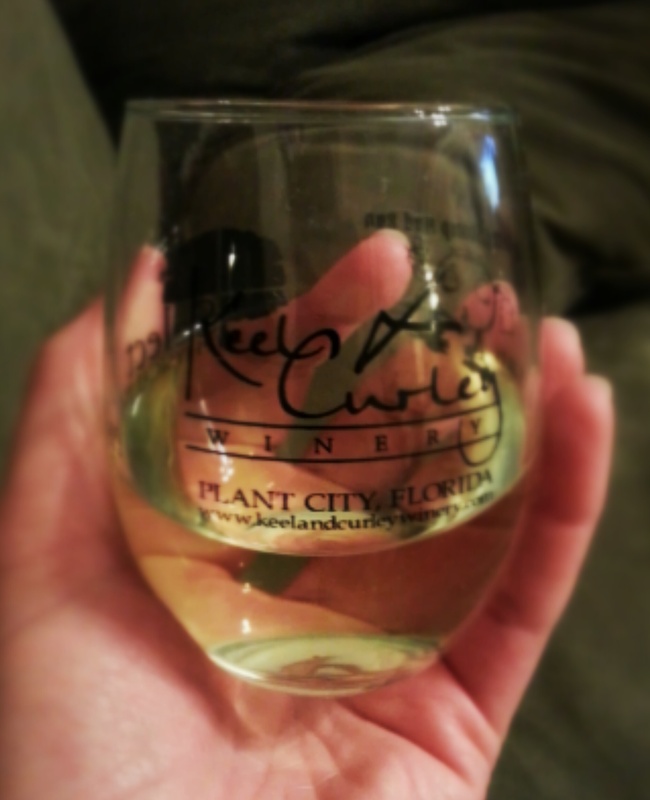 After a rinse attempt, I sopped into the tasting room to settle in for my free post-run wine. Although not a huge fan of blueberries OR sweet wines I found myself quite pleasantly surprised by the dry blueberry wine. Happy enough that we brought a bottle home to enjoy later! We wandered outside, purchased some pulled pork from a food truck, pulled up a chair and spent several hours chatting, eating, enjoying the wine and the fantastic live music. All in all, a wonderful morning, well spent. I’m even moderately certain I burned off at least half the delicious food and wine….well maybe less, but well worth it.